When Obito is joined by Madara, Naruto and allies shocked to see the legendary ninja who they assumed to still be battling the five Kage. This leads Naruto to immediately question Madara of their condition. Madara nonchalantly reveals that he dispatched them. From there, ignoring Naruto and expressing disappointment towards Obito for deviating from their plan, Madara learns that his intended resurrection through the Samsara of Life was ruined by Nagato using it on the Hidden Leaf ninja. Upon learning of Nagato was nothing more but a sacrificial pawn, Naruto attacks Madara with a Super Mini-Tailed Beast Ball which the Uchiha dispatches as he moves to capture the jinchuriki while Obito deals with Kakashi and Guy. When Kakashi used this opportunity to question his old friend about what had happened to him, Obito gets a flashback of being heavily bandaged and stitched together by an elderly figure he learns to be Madara who explains of his physical condition after saving him. 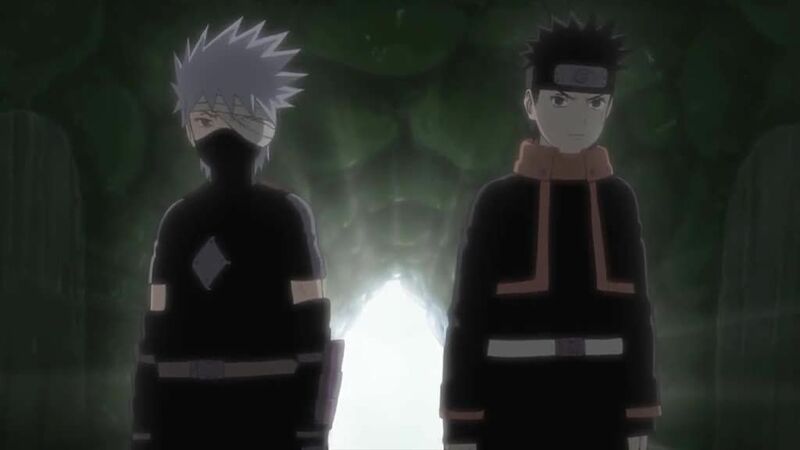 As Madara tells the younger Uchiha of his goals to unify the world, an uninterested Obito attempts to escape, eager to meet his team-mates once again.